Many of these sites are run by volunteers who would be delighted to see you. This entry was posted in Uncategorized on May 11, 2018 by norfolkmillsgroup. This article appeared in the ‘Friends of Norfolk Windmills’ Newsletter No. 48 from 1993. We are very grateful to Christopher Bird for his permission to reproduce here. 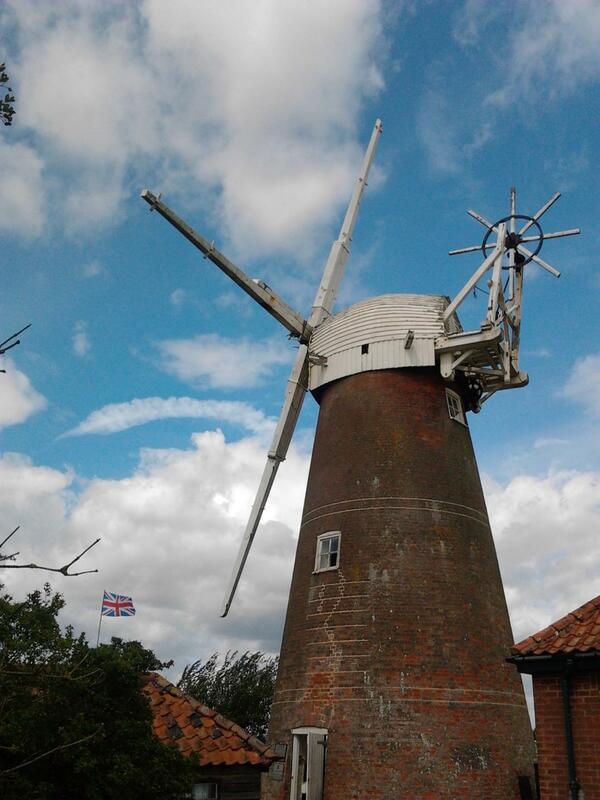 This article will examine the uses of three Norfolk windmills in the Second World War. The mills are Ludham Bridge, Stracey Arms and Ingham. Ludham Bridge and Stracey Arms were both fortified against German invasion and can be thought of as heavily camouflaged pillboxes (hence the title ‘millboxes’). 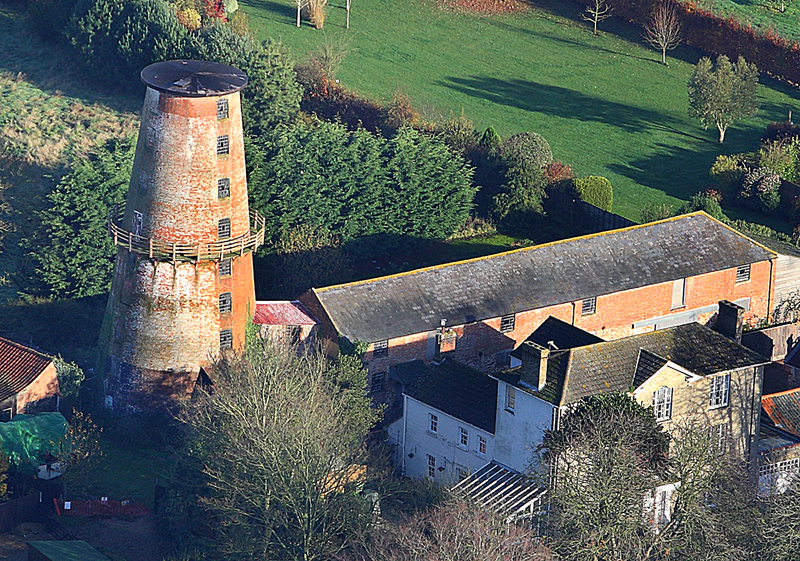 Ingham Mill near Stalham was used until very recently as a Royal Observer Corps (ROC) post. 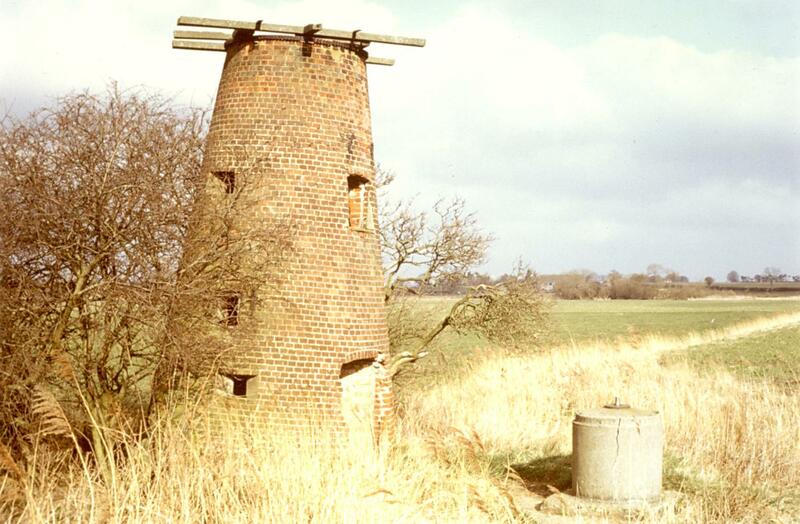 This drainage mill is located at grid reference TG 372173. In the summer of 1940, with the threat of imminent invasion facing this country, several thousand concrete pillboxes were constructed in Great Britain. Where possible, many were camouflaged by converting a suitable building, sometimes by reinforcing it with concrete. This was thought preferable to attempting concealment by using flimsy painted canvas screens. The windpump above Ludham Bridge is an excellent example of the way in which many of the defences were disguised. Other Norfolk examples of this type of camouflage are an outhouse extension at Acle Manor House, a magnificent emplacement in the Priory Church at Bromholm, a barn at Halvergate, a pillbox knapped with flints at Thetford Town Bridge and a garden shed (now demolished) near Aylsham Watermill. Five loopholes were cut into the walls of the old mill at Ludham Bridge: three on the ground floor and two on the first floor. Presumably the top floor had either rotted away or was too unstable for use at that time. The emplacement has a commanding view across the surrounding marshes and also to Ludham Bridge across the River Ant, the river being used as a stop line in both World Wars. The loopholes are of a standard design employed in the commonly found hexagonal (type 22) pillbox. In standard type 22s this kind of loophole usually had a wooden shelf below it to support the tripod of a light machine gun such as the Bren gun. Since there are no signs of such shelves at Ludham Bridge the loopholes would probably have been for rifles. Clearly it was thought both here and at the Stracey Arms that the brick walls of the windpump would be thick enough not to justify reinforcing them with concrete. (To be continued). This entry was posted in Uncategorized on September 3, 2015 by norfolkmillsgroup. Whatever your views, your feedback is very important. This entry was posted in Uncategorized on May 3, 2015 by norfolkmillsgroup.